Breakdown Services provides a variety of services for the film and television industry. 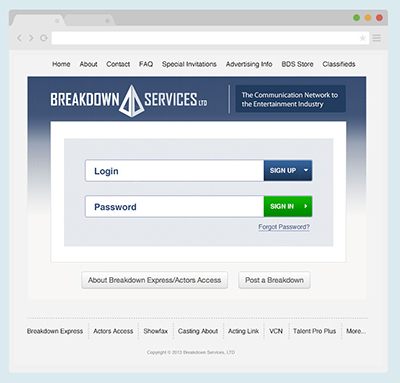 They own the casting websites, Actors Access and Breakdown Express, two sites that I worked on for three years. Their brand has changed very little over the years. The challenge was to try to bring Breakdown Services into the digital age with a fresh, new logo and site refresh. I began to sketch out ideas on transforming the logo, which is a pyramid, into a more modern look. This would be key to any of the designs. The site itself would contain some basic information, such as an about, and a small store, but the main purpose of the site was a landing page where users could log in to any of the sites, with one single login. The logo would be prominent on the landing page, so everything else depended upon the logo. 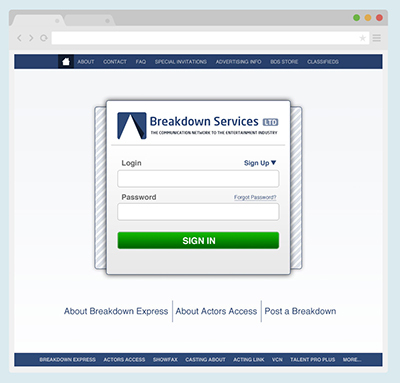 Once I had three solid logos hashed out, I began work on landing page login screens that fit the look and feel presented in the three logos. I went through different iterations of the three designs, testing them and getting feedback from stakeholders. While some of the stakeholders loved the designs, ultimately they could not come to a consensus on the direction in which they would like to go. While I may have felt the designs were successful, ultimately, the successful design is one that works for the customers. 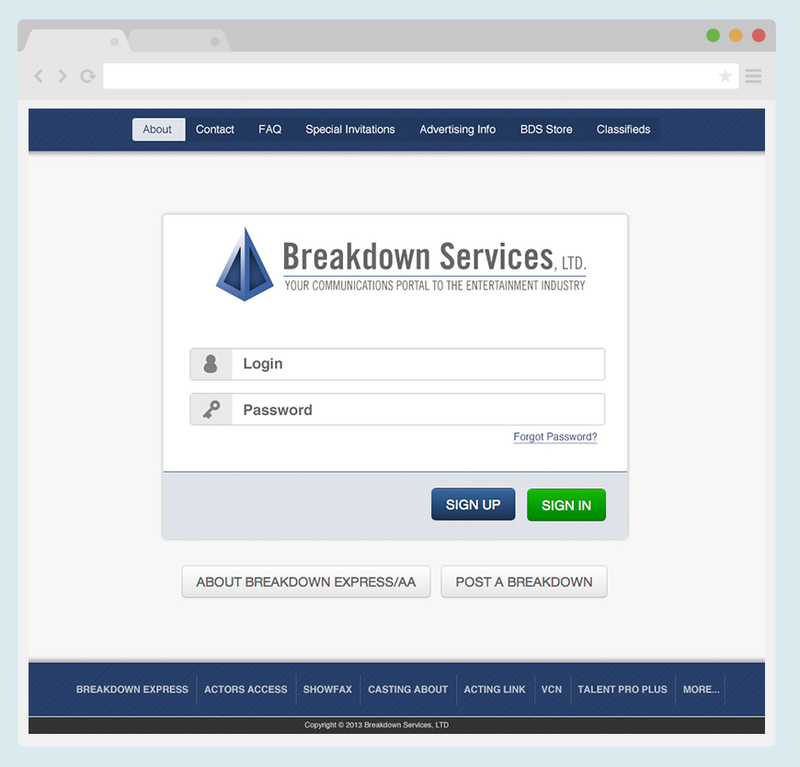 Breakdown Services branding and site was later redesigned, but still maintains much of the same look that it previously did.